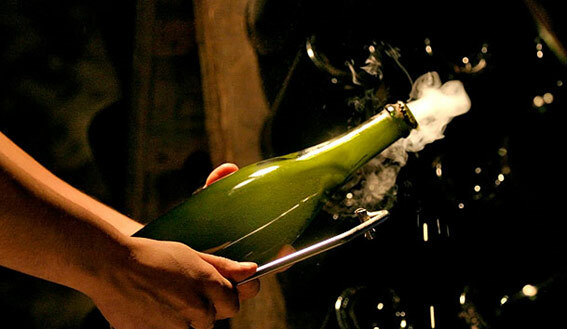 After nine months of hard work and a reasonable await, the first sparkling wine from Bodegas Cerrosol was born. Under the baton of our chief winemaker, Javier del Río López based on an exceptional “Verdejo” base wine, with a specially selected “cuvée” designed for this sparkling wine, and through the traditional method “Champenoise” Bodegas Cerrosol is proud to share in the market a sparkling wine with class and different. Very bright with a very thin and delicate bubble. After a fine and elegant evolution in the bottle, it conveys to a great complexity and freshness. Everything in this sparkling wine reminds us of the “Verdejo” grape with the touch of freshness and softness of its bubble. With this launch, Bodegas Cerrosol is expanding its offer even further, to reach those people who like softer flavors and a touch of bubbles, making wine drinking fun. 3,000 bottles of this sparkling wine have been produced and the market will be released in December 2017.